When it comes to planning interiors in apartment, bathroom seems to be one of the most difficult rooms – so many things are to be thought of and considered. Why is that so? Bathroom is a very multifunctional room. 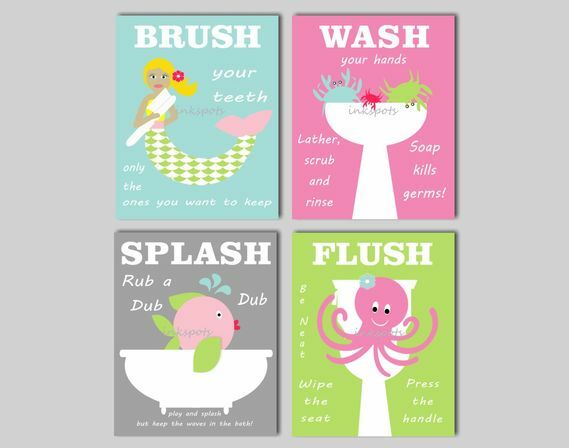 Performing hygienic routines as bathing and cleaning teeth, washing and drying clothes and linen, grooming and getting ready and, of course, relaxing and turning it into home SPA – this is not complete list of daily bathroom activities. 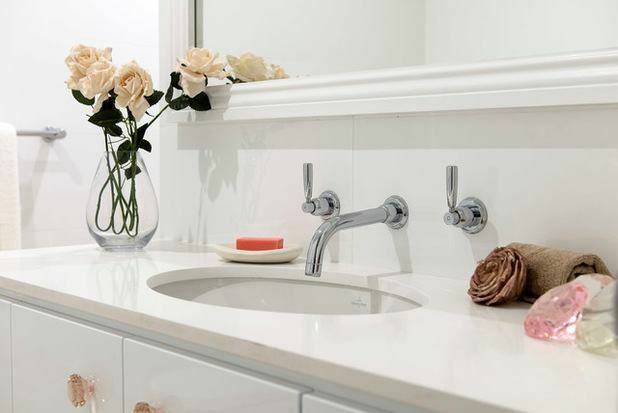 Provided that most standard city apartments have quite small bathrooms, it takes a real art to fit all essential things in the room, creating an elegant and cozy interior at the same time. That’s why every little detail should be carefully planned. Bathroom mirrors, being inevitable elements of any bathroom, play many roles – functional and decorative. To use all benefits mirrors can provide for bathroom interior, it is recommended to plan ahead and to choose mirror right from the beginning. Here are some steps which would help to plan it right. Sources of light, placed close to large mirror surfaces, look as if they are doubled and can spare some costs for additional ones. All objects, reflected by mirrors, appear bigger than they really are. 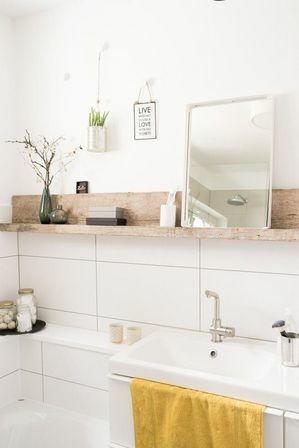 Mirrors should be put in a way that unwanted objects as, for example, toilet or garbage bean, would not get into mirror’s reflective zone while wanted, such as lights, other mirrors or beautiful pieces of décor would get in there. 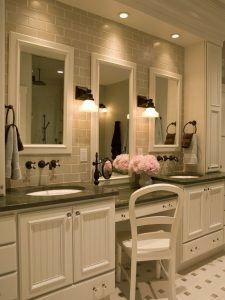 Then it is necessary to decide what type of bathroom mirror would be there in this bathroom. 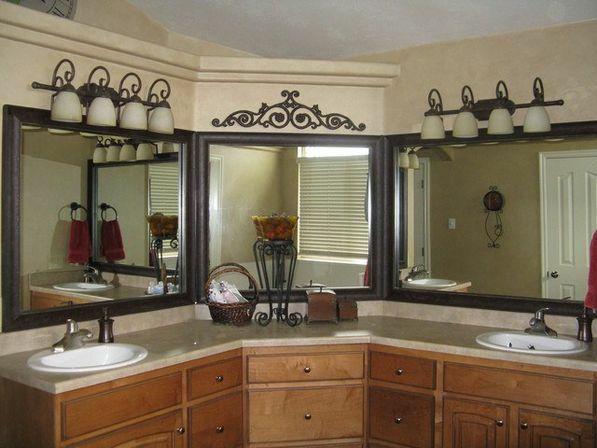 Choice of mirror depends on bathroom’s size and main functions expected from bathroom. Wall mirror provides main mirror’s function and can be as well used for optical correction of the room’s size and level of lighting. 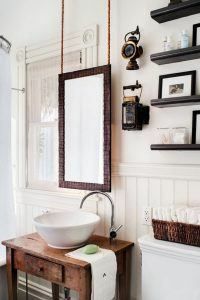 Bathroom mirror with shelves can accommodate some of toiletries. It is a good compromise of some place for storage which does not require much space. Some mirrors with shelves look very attractive. Bathroom mirror cabinet is even more practical than bathroom mirror with shelf. This is a good ergonomic solution for compact city bathrooms. 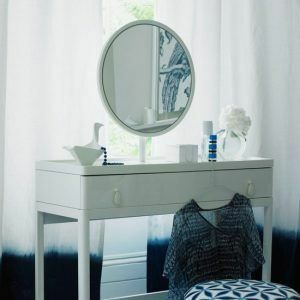 Such a mirror can as well ease some furniture’s choice because there is usually a whole line of furniture made in one style. Bathroom mirror cabinets rarely fit in some outstanding design projects because of their plain looks. Large bathroom mirror, especially standing one, can be used in spacious rooms. It provides full height reflection of a person and as well can be used for optical effects. 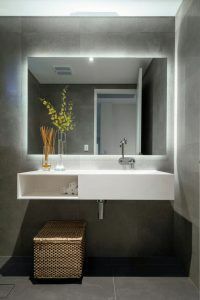 Bathroom mirror with lights. There are many kinds of lighted mirrors – from plain small wall mirrors to mirror cabinets. It is a convenient solution for most interiors. Oval is the most popular shape. Since oval mirror is long enough, it enables person to see a full height reflection which is really useful. Due to its curves it looks peaceful and calming and is considered to be energetically positive. 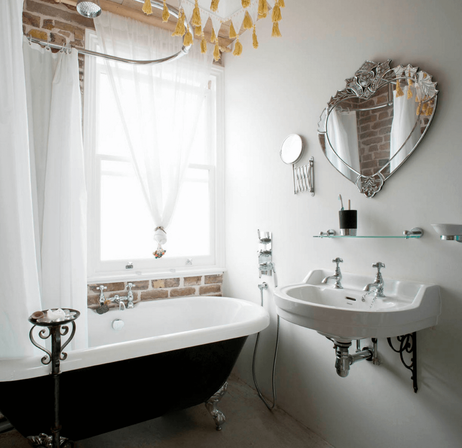 It also fits in a bathroom of literally any style – from high-tech to classic and antique designs. Round mirror can be very compact and is ideal for small bathrooms. Looks good in different interiors – from modern to classic. Rectangular mirror due to its shape provides the biggest reflective surface. It can look good in most modern interiors. Large rectangular mirror provides full height reflection as well as visual correction of some room’s flaws. Square mirrors are good in compact modern styled bathrooms. Asymmetric uneven shaped mirrors can enhance modern interior. Yet another important aspect is mirror style and its decorative elements. Frameless mirror is the most basic kind of mirrors. It can be optimal solution for small bathrooms and minimalistic interiors. 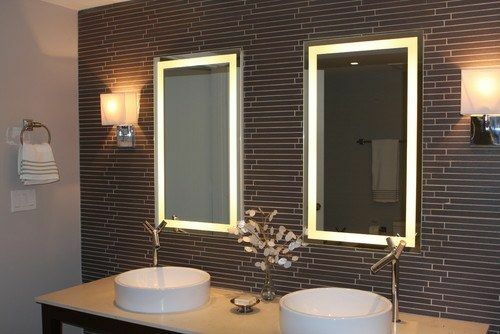 Frameless mirrors can be as well parts of furniture as, for example, doors of some cabinets and closets. 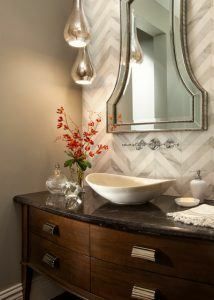 Framed mirrors help to enhance some particular style. There are millions kinds of frames. Plain metallic and plastic frames are good for minimalistic and modern interiors. 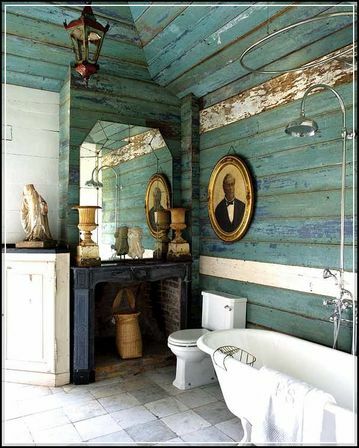 Rough wooden frame is meant for country style bathroom. Richly decorated oval frames are good for classic interiors. Apart from frames, mirror surface itself can be decorated – it can be tinted, decorated with sandblast images or purposely distressed for creating antique look. There are many bathroom mirror ideas which can create unique style of the room. Light should be directed outwards of mirror surface to show person’s face without casting deep shadows. Lights should be placed so that they are reflected. This would double light coming from them and would make it possible to reduce actual sources of lights. Then comes the time to actually choose bathroom mirror in a shop. It is very important to make sure that this mirror is of high quality. High quality mirror has an even surface with no holes, scratches or other defects. It should be at least 4 millimeters thick – thin mirrors tend to give some distortion of image. Good mirror is made of many layers, included some protective layers. Both reflecting surface and frame are supposed to be made from water-resistant materials. Bathroom mirror should also meet safety criteria. Now most serious manufacturers not only make bathroom mirrors out of solid shock-proof glass but coat its surface with special protective film as well. This film serves as protective screen and prevents small pieces from scattering around the bathroom in unlikely case of mirror’s break. Summing up, well-chosen mirror would give precise reflection, enhance interior style and, being of high quality, will last for many years. 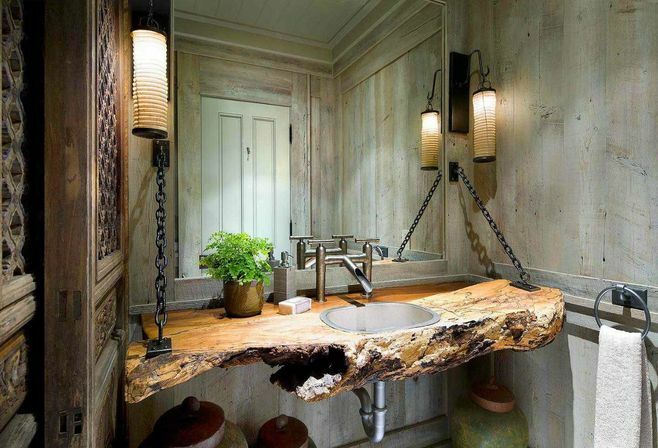 Planned in advance, mirror would definitely look right in bathroom’s interior.